As explained in detail in our exposition on this topic in the former post. Many factors are responsible for student's perspective and response to both reading and cramming. As identified, we have internal factors at play like self-will, passion, goal, determination and external factors also like peers, the environment, background, pressures, culture, technology, expectations from parents and the society at large. We'll consider factors that motivate or encourage students to either read or cram which can be positive or negative. The first point of call is the student's background or family training. As every society, peer group and all other factors are traceable to the family being the first unit. The home as is popularly known to be the first point of education plays a key role in influencing a student's choice to either read or cram. Parents who are genuinely concerned about the reading attitude or habit of their children and not just pestering them to make A-grades will be good influencers for such students to read to acquire knowledge and not just to cram to pass examinations and vice versa. The environment a student is born and raised in also a vital point which can either mar a student's reading culture or boost it. If such society frowns at cramming and encourages reading for it's wards, then, this will affect students choice in this particular society to be more inclined towards reading rather than cramming and vice versa also. Evil company they say corrupts good manners. Peer group is a very important factor as this shapes a student's ideal or values more. This factor can be either positive or negative. Negative in the sense that, having classmates or friends who have been topping the class and haven't been reading but rather cramming. Such student begins to incline towards this behavioural pattern as he/she has seen it work for his peers many times and see them lead the class with it. However, a peer group can also motivate a student's choice positively to read, in a scenario where majority of a student's classmates or friends frown at cramming and read ahead of examinations not just for the sake of having top grades but to have a lasting knowledge. The school system in which a student finds himself or herself too determines his perspective of both cramming and reading. 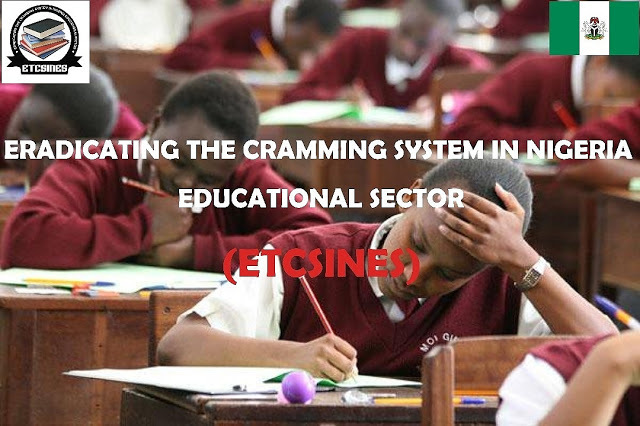 School systems that encourage cramming with overloaded or unbalanced syllabus, teachers or lecturers not giving detailed lessons but rather providing students with voluminous materials to read before examinations thereby encouraging cramming indirectly. School systems with emphasis on not just the end result but rather concerned about how their students come about these top grades. Schools that encourage and supervise reading during preps, free periods, less cumbersome timetable and syllabus will create a good environment for motivating students to read more and shun cramming. The aforementioned factors are only few out of the multifarious factors, positive and negative motivating students to embrace the Reading Culture or not. Nigerian students and also those across the globe are thus advised and encouraged to select the positive factors and tread the path of a diligent reading habit.